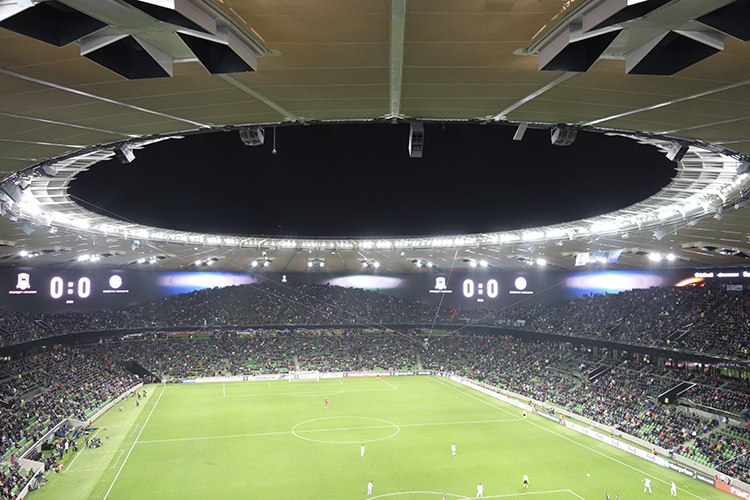 Edelweiss Audio completed a standout Funktion-One installation at Krasnodar Stadium in December 2015, following 18 months of listening tests, design negotiations, new loudspeaker developments and a large-scale installation. From the very beginning, the owners of the state-of-the-art stadium were determined that the sound system and the audio quality would be a priority. Edelweiss tendered for the project in early 2014 and was invited to take part in a listening test alongside companies representing most, if not all, of the pro audio manufacturers active in arena/stadium sound. The company was then invited back to attend a second round of listening tests featuring a shortlist of companies. The owners were sold on the Funktion-One sound, which at the time was demonstrated using Resolution 5s, and appointed Edelweiss as the audio contractor for the project. 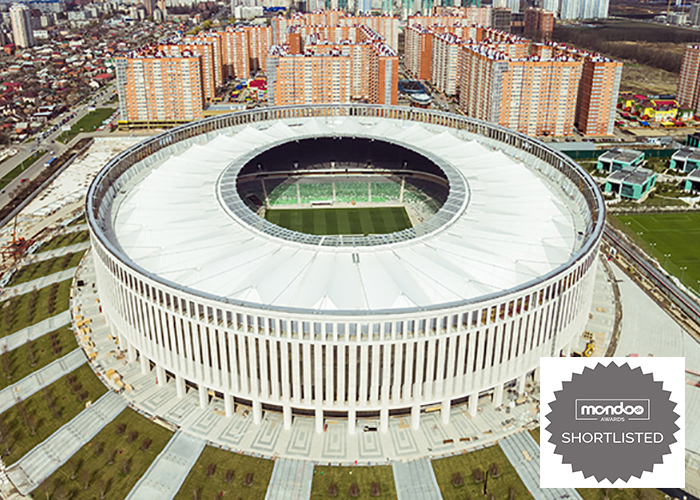 For those who haven’t seen Krasnodar Stadium, it is an architectural wonder in the ilk of a Roman colosseum. Inside, there is a stunning 360-degree video screen. It, therefore, comes as little surprise that Edelweiss faced some challenges when prescribing the best possible audio solution for the venue. This impacted the audio design at various stages, from the testing right through to the installation. 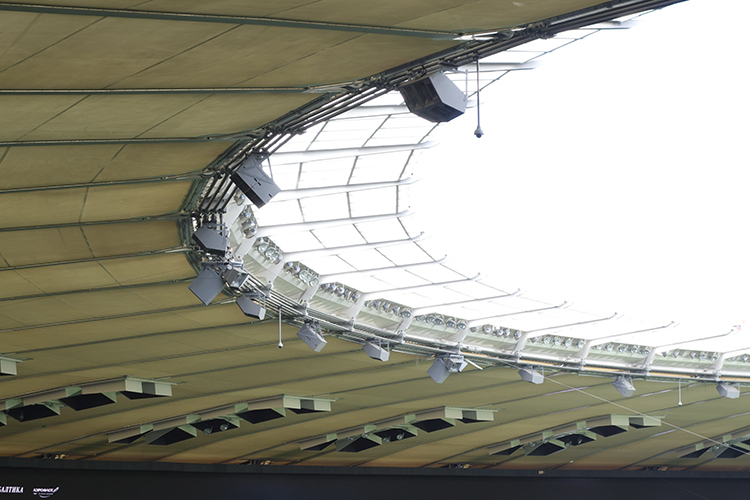 The stadium’s roof has two layers and the architect’s design demanded that the speaker arrangements should be hidden between the roof layers. At this stage, Edelweiss’s Technical Director Andrei Kremenchugskiy consulted with Funktion-One’s Tony Andrews. Subsequently, there was more dialogue between Edelweiss and the architect and a trip to a similarly designed stadium in Europe was planned. Funktion-One’s John Newsham joined Edelweiss and the client for the trip. The outcome went little way to supporting the architect’s argument, as the customer wasn’t impressed. A compromise was needed. Edelweiss originally wanted to use Funktion-One MSTs with smaller subs. Instead, a new Funktion-One Evo configuration was developed – with significant input from John Newsham and others at Funktion-One in the UK. This resulted in the development of new customised product – the Evo 6EHQ. These specially designed enclosures house four Evo 6 waveguides, arrayed two wide and two deep. 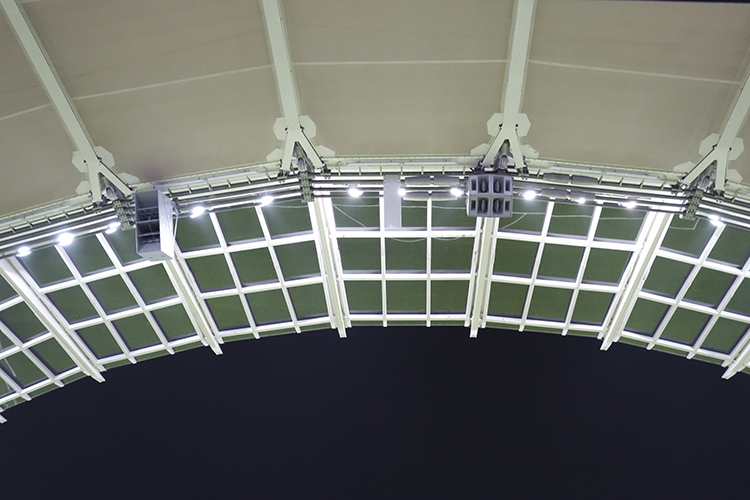 A total of 18 Evo 6EHQ enclosures have been deployed around the stadium, approximately 20m apart. Funktion-One F215 Mk2 bass enclosures were installed between the Evo 6EHQs. Six standard Evo 6EH loudspeakers were supplied for pitch coverage. In one final twist to the sound design, a request for more bass led to the newly developed Funktion-One F124 24in bass enclosures being paired with the F215 Mk2s, to extend the frequency range down to 30Hz. 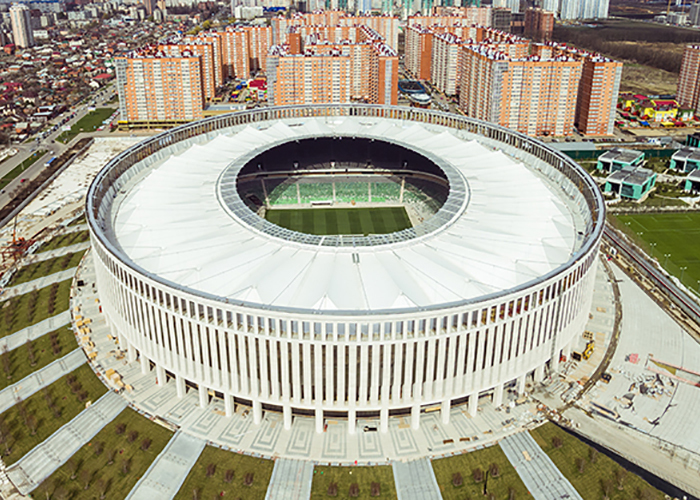 To say this level of installation for a stadium is unusual would be an understatement. 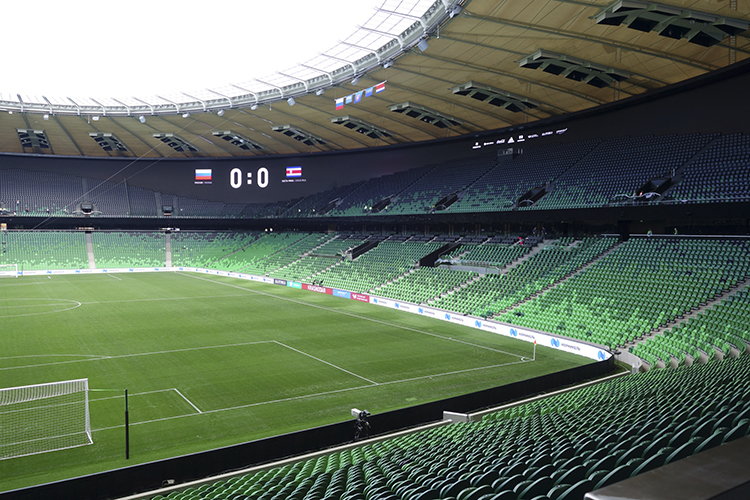 As Andrei pointed out, the coverage is very even across the stadium, with good intelligibility throughout. As each Evo 6EHQ cluster is split left and right, it’s possible to achieve stereo sound between the clusters. This is no standard stadium installation. The owners set out with audio quality as a priority and have ended up with one of the best sounding stadiums in the world.